Health Care Management is one kind of profession in which different type of responsibilities is there in any hospital or any nursing home (Adair, 2010). According to their responsibilities they have to deliver different type of service to the patients. Different type works, responsibilities means nurses have to give medicine, injection and etc to the patients in order to doctor’s direction of treatment. Nurses are generally very loyal to doctors (Adair, 2010). This type of holy work to their organization like hospitals or nursing home is very valuable (Ovretveit, 2009). Different type of legal, ethical, moral issues are also there in nursing in a hospital or nursing home. The main duty of the nurses are characterized in 3focusing facts like to respect a patient’s confidentiality, autonomy and to recognize the duty of treatment or care that is obligated to all patient. With that ethical issue many legal duties are also there in their responsibilities. The legal frame works starts from their valid registration to their main authority (Ovretveit, 2009). Different type of positive and negative sides is also there in the work of Health Care Management in the organization. This report will show the ethical, moral and legal issues in nursing of an organization (Adair, 2010). Ethics is just a fact that every human being, objet has (Adair, 2010). It does not know the standers of anything previously when it faces anything and starts to understand the same then it starts to deal the standards of the thing to itself (Chinyio and Olomolaiye, 2010). So in case of health care management there is also ethical value in it. These types of ethical issues are generally factorized by beneficence, autonomy and justice (Chinyio and Olomolaiye, 2010). Beneficence means doing good work. So nurse always do good works for their clients like they promote their clients. Another work done by the nurses are very important for them like avoiding herm. They have to concerned about their practices to their organization means they have to confident about it. If they don’t become serious about their work they may be in danger regarding patients’ care. For that only patients can be in serious condition in way of his end (Boomer and Mccormack, 2010). Autonomy means impendence of any nurse and self direction power in anything like monitoring a part of treatment in a small part of organization. Actually this term of ethics of health care management shows a condition like after a certain time the nurses become independent in an hospital means no one can rule over them in the facts of any operation regarding the care of the patients or treatment of the patients. 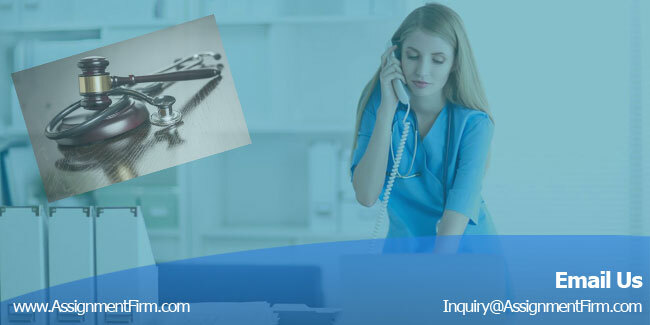 Another thing is that after certain time the nurses generally get power to control or to monitor small part of the organization and the caring for the patients. This is also a part of ethics. Means their ethics can understand and face the surroundings (Boomer and Mccormack, 2010). For that reason only they can manage the condition easily as a decision maker of a apart of the organization or as ruling person of an organization (Boomer and Mccormack, 2010). One thing is more about the nursing ethics is that justice. Justice is one more important factor of their ethics. Justice means all clients are equally treated. Generally nurses face daily the factor of justify when they usually make an environment to organize the client. One thing more is that time factor means they have to think about the time factors according to their clients. If they can justify the clients means that they have to give importance to all the clients in same level so that they can supply the resources to all the clients in time (http://www.nhmrc.gov.au,2014). Nurses have to differentiate their personal value and professional ethics. It is more important for them to survive in this scenario of health care management. Personal value is totally different form professional ethics (http://www.nhmrc.gov.au,2014). They can lead their personal life as they wish means it’s totally depends on themselves. They do not need to follow any rules any direction in their personal life. Their professional ethics is totally different from the above mentioned things. They generally have to follow the rules, direction of the organization head. They cannot do anything without the permission of the organization. They have to maintain the laws of organization (http://www.nhmrc.gov.au ,2014). So the main difference between professional life and personal life is huge. They have to differentiate both two otherwise they cannot survive. So this is all about the ethics they have to maintain in the health care management. Code of ethics means it just a factor of the human being. So everyone has the same. But it actually differs man to man. At the point of Australian hospitals the nurses also code of ethics different from another one like they generally look after their personal life and professional life differently. But in certain time it can be shown that the total disorder in their moral, ethical issues. As a result patients generally suffer from different problem. To avoid this type inconvenience the hospital management has to more active about their employees. The management assignment help have to keep continue their communication with their staffs; they also have to give more training for better performance. Management has to be more frank with their employees about decision making. By this type of management it can be develop in proper way. Different types of legal issues are there in an hospital or nursing assignment help at homes. In an organization there different type of laws and rule are present means different types of legal works are also there under the organization. As per the rule of the organization nurses also have to maintain their status by working legal works in the organizations (http://www.yourhealth.gov.au ,2014). Timeliness of the staffs means as per pre defined termination time of work they have to complete the work. They have to come to the organization in time and they also have to stars their work in time. That calls legal work of the organization. In certain time it shows that they can’t come in time and cannot starts their work in time and cannot complete their work in time. So for that inconvenience they have to practice their works more and more so that they can complete their work in time (http://www.yourhealth.gov.au (2014). Another thing is that in certain time it seems to everyone that nurse cannot play the important role of caring of clients means they cannot take the responsibilities properly. They get failure of their work. They generally cannot meet the proper standard of care means they generally goes against the policy of the organization means they have to complete their responsibilities with proper way (http://www.yourhealth.gov.au (2014). It not becomes under the legal work. So they have to plan about their work and fix their mind about their performance so that they can perform well at their predefined responsibilities. In this way they can develop their performance. Another thing is that causations (Adair, 2010). This legal work means nurses have to maintain causation about some dangerous things or sides. They have to maintain the causation about the client care. If they done anything serious about the client means any damage happens to the client then it will not come under the legal work (Adair, 2010). So they have to more serious about their work regarding this and they have to continue their practice in right manner so that they can perform very well regarding care of client. It will be big contribution to the health care management in an organization (http://www.nhmrc.gov.au ,2014). Generally nurses can do their work in time proper way but as per rule of the organization they have to more efficient about their work. Because of their huge differences between personal life and professional life they cannot work as they wish. Some rules and regulations are there in the organization and different types of legal works are there in the organization. So if they want to manage the situation of the organization they have to perform well according to their predefined work sand also have to continue their practice so that any fault regarding care for client does not happens (http://www.nhmrc.gov.au ,2014). Legislation: Although large number of organisational behaviour operates in health and social care sector of Australia, most of the organizations do not maintain health and safety law of Australia at workplace. Health and safety law of Australia ensures that the employees of health and social care sector are provided with healthy and safe workplace. As the employees of this sector need to serve patients with infectious diseases, it is important for providing them with necessary accessories such as gloves or mask. However, large number of employees is unable to get the facilities of preventive measures. The main thing of the organization is to provide right treatment, safety and right care to the patients. But now a day’s the hospitals or the nursing homes are not serious about the morals and ethics. In the cases of Australia the hospitals doe not maintain even some laws or rules like anti discrimination means physically challenged people generally does not get any advantage here that is actually out of their laws and rules. There is different type of moral values also in the nursing in healthcare management. As well as ethical and legal issues in the organization there are also some moral values of nurses in the organization. After maintaining ethical and legal issues they also have to continue their performance with maintenance of moral values of the organization. This moral, ethical and lagal issue is somewhere connected to each other. Generally they depend upon each other. Some moral issues are generally happens for legal and ethical issues and vice versa (Adair, 2010). Poor ethical sensitivity causes moral distress of any personnel. That is called as the psychological disequilibrium of a person (Boomer and Mccormack, 2010). It happens when a person makes a decision but does not follow the decision properly but this type of distress is one type of emotion that is expressed at the time of moral complexity reaches at its huge extent. From this type of moral distress generally comes the moral residue. That is an extreme limit. In this type of condition any one can understand that the work he or she have to do for next but they can’t get understand the redundancy of the work, what type of resources needed for any particular thing. This types of behaviors are not usually happens in the organization. It is a big problem to continue for the organization when their staffs cannot work properly or if this type of problem arises. Another thing is that moral burden. That is also a term related with moral distress. Mainly the burden happens because of the situation that includes moral values. It is also a difficult situation for any individual person as a nurse (Boomer and Mccormack, 2010). In this situation different things take place like some activity as nurse are attempting or forcing to feed a patient when he or she is deny to taking the food. These type abnormal activities are certainly happen in the organization. For that kind of reasons the hospitals or nursing homes are generally become in the way of problem. Another one thing is also a fact regarding moral issues. The fact is value conflict. Value conflict is different from the definition of the moral distress. Actually the moral distress happens when nurses own values and get distracted from their practices and star wrong treatments but they actually they try to be professional and keep same as well as their first stages. In this situation different type of problems they generally they face. At the time of support to mentally weak patients they can’t give the same. This is a very serious condition to the nurses and also for the patients in the organization (Chinyio and Olomolaiye, 2010). Nurse cannot give their right performance regarding their patients caring and for those reason only patients generally doesn’t get right treatment, any mental support from the nurse. If the patients don’t get right treatment, right food from the nurse and the organization then in the future they will not get admit in this type of organization like hospitals and nursing homes. So ethical values and legal issues are very important for the nurses and organization too but in spite of that nurses have to generally maintain the moral values and otherwise after maintaining the two issues in the organization they cannot give the performances to their organization means they cannot give treatment to the patients in proper way in proper time. The organizations get effected by this type of works. If this type of works is continued by the organization then no patients will come for the treatment. This is also very harmful for the organization business also. They will not be able to compete with other organizations in the market of competition (http://www.yourhealth.gov.au ,2014). Actually hospitals are always ready to help the patients. And if they want to do this really and then they have to keep balance in their moral, ethical issues. But now a days a lot of problems generally occur in the organization because of their new culture means they does not maintain the basics moral issues like their ignorance regarding caring of patient . For that reasons patients not are getting proper treatment as per rules of the organization. First of all nursing is of the holiest work in the world. But if the nursing process have to give it’s performance in the field of client caring then it have to maintain some laws and rules that generally stays in the organization. There are also some facts regarding different issues like, ethical, legal, and moral in the nursing in the organization. First of all the nurses have to differentiate their personal and professional life and they have to maintain the ethical values to continue their good performance. They also have to maintain the legal issues if they do any work out of that then it will be a big problem to the organization. After that moral issues are so important like other issues. In this type of abnormal situation nurse have to do more practices and they have to overcome from this situation anyhow. If it is possible the organization can get good results regarding treatments.